Let me be clear upfront: This article alone will not give you the definite answer of which platform to use. What it will provide you with is the three areas that make the platforms different from one another. You may have a better idea of which product you’re most likely to go with after reading this post, but until you can tell me all the other systems you use, what your design preference is and every part of your process step-by-step, I can’t make assumptions on your environment — that’s where projects usually fail. So anyone that tells you that they can provide you with that information without doing some sort of Discovery or IT Environmental Review, should make you question. After all, it’s your time and money on the line. What I want to provide you with is essentially an agenda for your conversations surrounding the comparisons of these platforms (and others that may be in your mix of options). This agenda will prepare you for a project that not only results in a successful finished application, but one that your users can and should adopt. Change management should be simple as long as the product itself correctly represents and strengthens your process. Introductions — Get to know each other's’ teams. If you can’t work well together or understand each other even in the initial conversation, that should be a red flag. Any vendor that you’re looking to partner with should be held to the same standards as a future employee. Company Mission — It matters what your ultimate end goal is. You organization’s values should be represented and embedded throughout any technology that your provide for your users. Without taking those values into consideration, it’s like fitting a circle peg (the tech solution) into a square hole (your entire team). The Partner you choose to work with should be able to also provide a change management process to make sure that the custom solution you create together is well adopted and used as efficiently as what was originally hoped for. Process Discovery — I cannot stress enough how important the human part of all this is (the above). But once you’re comfortable with the team, what are you trying to solve? What is your perfect scenario? If you could only experience the most magical application in your dreams, what does that look like? Without knowing all these systems’ capabilities yourself, why limit your opportunity? Remember: the folks you’re talking to by this point should know you well. Be honest with what you want and they will give you options of how to get there. 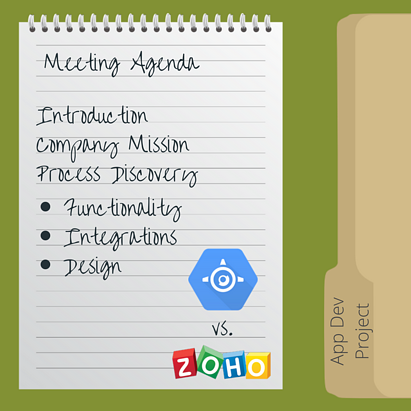 Within this section, we finally come to the three most important aspects of deciding on whether to use Google App Engine, within the Google Cloud Platform (GCP) or Zoho Creator. Keep in mind that in most cases your decision will be made for you based on the following discussions and your overall budget. What does the application itself need to be able to do? Functionality is at the most basic level. With Zoho Creator, there’s more opportunity for you as a customer to go in and make changes after your instance has been set up and initially configured. Zoho’s drag-and-drop functionality makes this even easier for you as the admin. With GCP, that’s not necessarily the case. Most changes that you need made to your application will need to be revisited with your development Partner. Companies like Cloudbakers make this easy and more cost-effective with the availability of ongoing support programs. So why do people still choose GCP over Zoho Creator? Wouldn’t they want the option to make changes themselves? The answer then lies in the platforms’ capabilities. There are functions that GCP can perform that Zoho Creator cannot. Knowing your needs will allow you to know which platform will work for you, hence why I mentioned that there would not be a black & white answer at beginning of this post. What integrations need to exist? Is this application connecting to your email in a specific way or any other internal proprietary applications? Similar to the capabilities statement above, there are certain integrations that Zoho Creator might not allow that GCP can. If you have to stay within tighter budget, you may need to decide which integrations are most important to your end goal. Do you need to keep them all? And do wish to build on a platform that you can expand on later? All of these questions should be discussed. What do you want your application to look like? User experience is one of those things that you can’t shrimp out on these days (find link). As Alex Voorhees, Director of Technical Delivery, tells it, “Without a good backend and solid process, the application won’t get used. Without a good UI, the application won’t get used.” Both aspects of the application are extremely important in delivering a beneficial and innovative tool for your team. Zoho has a fairly standard look, but you do have the opportunity to arrange where the functional parts of the app exist…to an extent. Again, building on GCP will allow you to have even more flexibility, however it takes more time to design. And there you have it. The most simplified guide for you to still get the necessary value out of an introductory discussion about your custom application. I’ve made a simple, downloadable version of this agenda in both Google Docs and Microsoft Word versions. Please use them! Author Bio: Marketer, Aquarium Volunteer and Minnesota Golden Gopher. Ashley is obsessed with productivity and communicating best practices to others so that they can be productive as well! 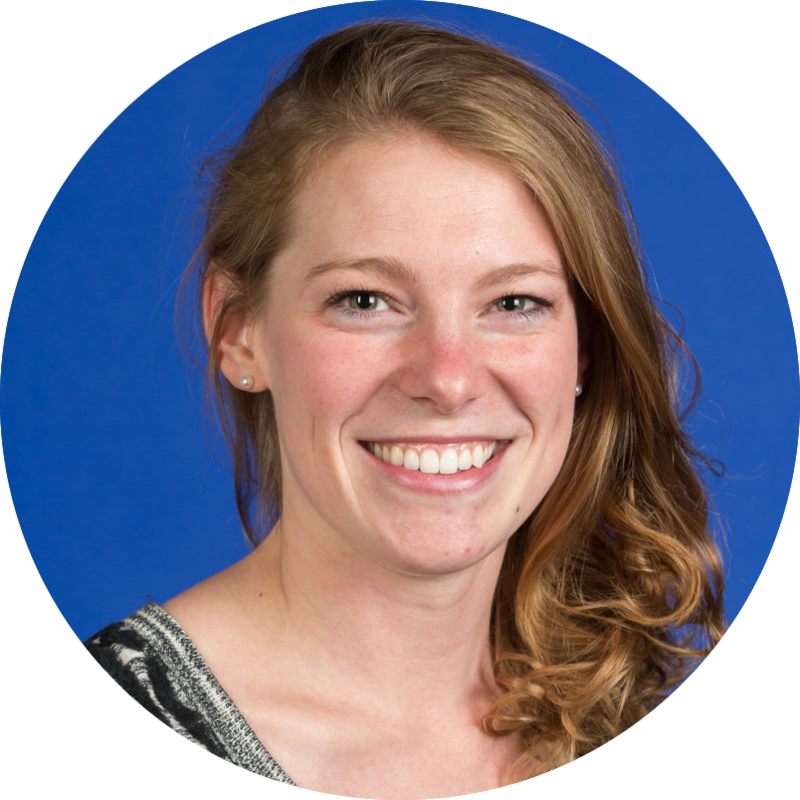 She's directed the Cloudbakers Marketing team since 2013. Cloudbakers connects technology with change management to ensure successful adoption of your cloud projects, adding value to your business. We unite with your team, turning your users into evangelists and projects into partnerships.